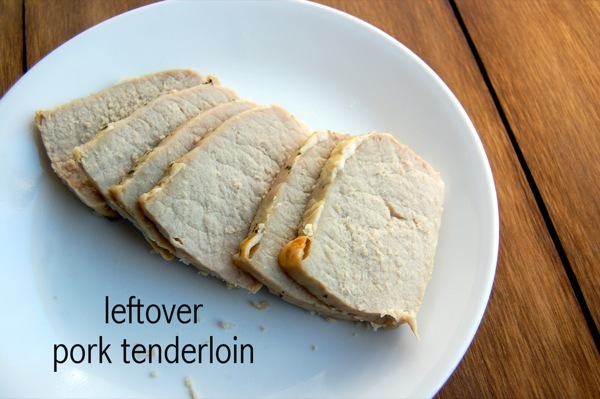 Leftover pork tenderloin? 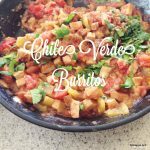 Make Chile Verde Burritos! 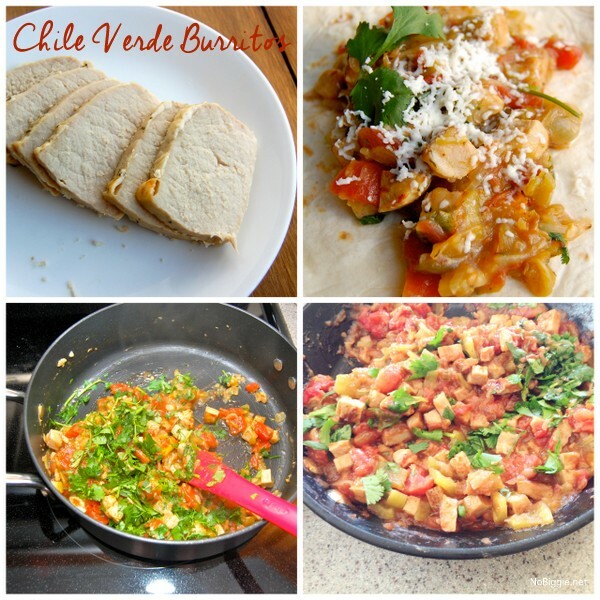 One of our favorite ways to use up leftover pork tenderloin is this recipe for Chile Verde Burritos. They’re so full of flavor, and it’s a great way to use up leftover pork. We had leftover pork tenderloin from the night before and this recipe is my favorite way to use up pork in a fresh way. In a sauté pan over medium heat cook the onions in the olive oil until translucent. Add the cooked pork tenderloin chunks into the pan and brown the pork to bring out the flavor of the pork. Add in the green chiles and the flour and stir it in all around to coat the pork pieces. Add in the water and the Better than Bouillon continue cooking and stirring. Add in the tomatoes and the spices. 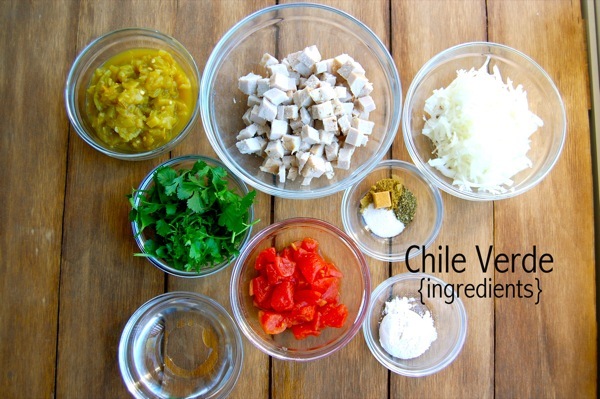 Add in the cilantro right at the end. 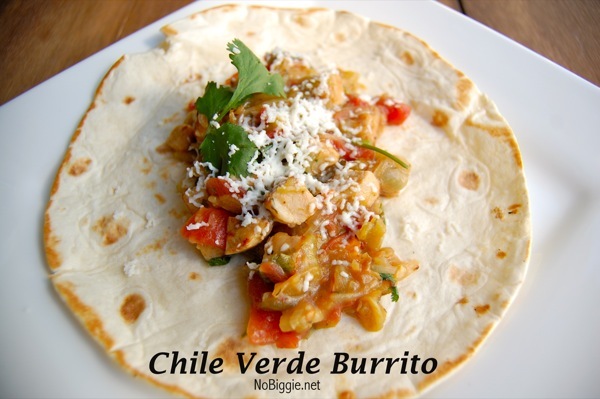 Serve it with more fresh cilantro (if desired) and grated cheese in a warm tortilla. 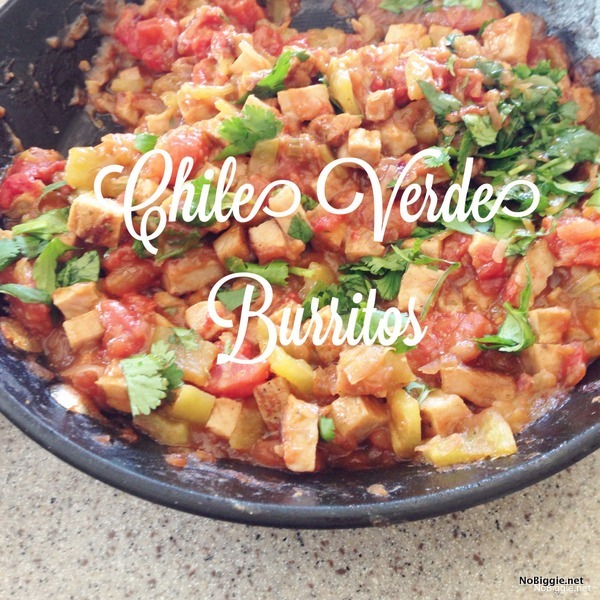 Make Chile Verde Burritos with leftover pork tenderloin. That’s it! Next time you pick up a pork tenderloin for dinner, pick up these other ingredients too, so you can get two meals out of it! 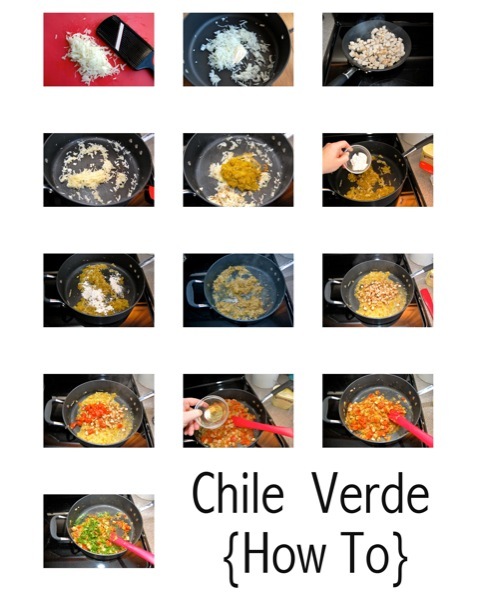 I have been looking for a chile verde recipe for the longest time! Thank you! oh mrs. bigs, my husband is going to LOVE you! this is his favorite thing to order at a mexican restaurant. maybe I’ll surprise him with it! i’ve never tried it so this will be my first time! I have to try this, it sounds so yummy. Thanks for sharing. This Sounds good. Going to have to give it a try! Mmm this looks good. I’m always looking for Mexican options that aren’t the usual ground beef tacos. Thanks!